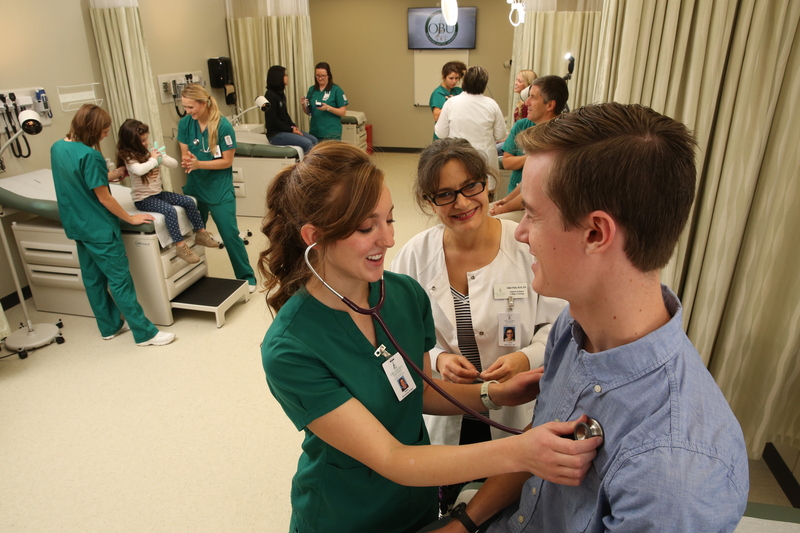 Jane E. & Nick K. Stavros Hall is the new home of the OBU College of Nursing and is the most recently completed facility on the Oklahoma Baptist University Campus in Shawnee, OK. In recent years CJC Architects has had the pleasure of working in partnership with OBU to achieve many goals in their “Vision for a New Century Campaign”. 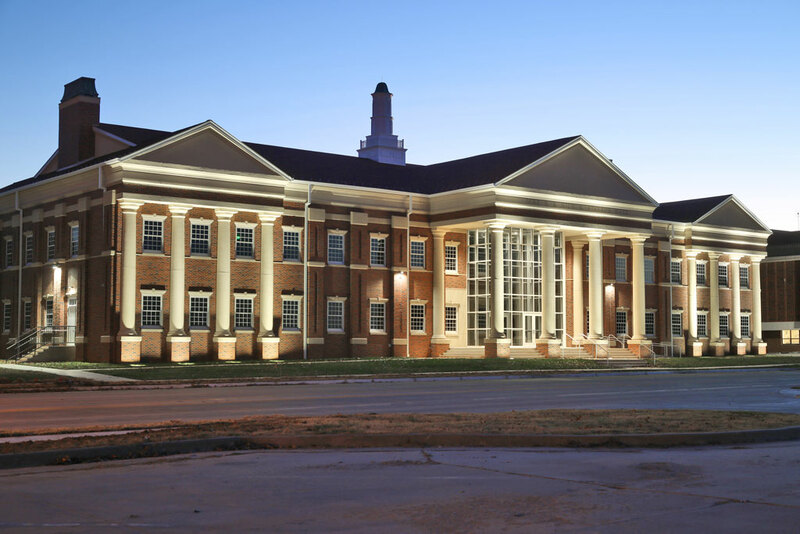 Working in collaboration with the University, CJC developed OBU’s long range masterplan of which we are proud to announce Stavros Hall is the sixteenth project we have completed since the Recreation and Wellness Center in 2009. In the past seven years our team has met the university’s diverse needs running the gamut from educational facilities to student housing to athletic facilities and even street relocation. Developing and maintaining long term relationships with our clients is one of CJC Architects fundamental ideals and is demonstrated in our decades of work with OBU which began in 1967. 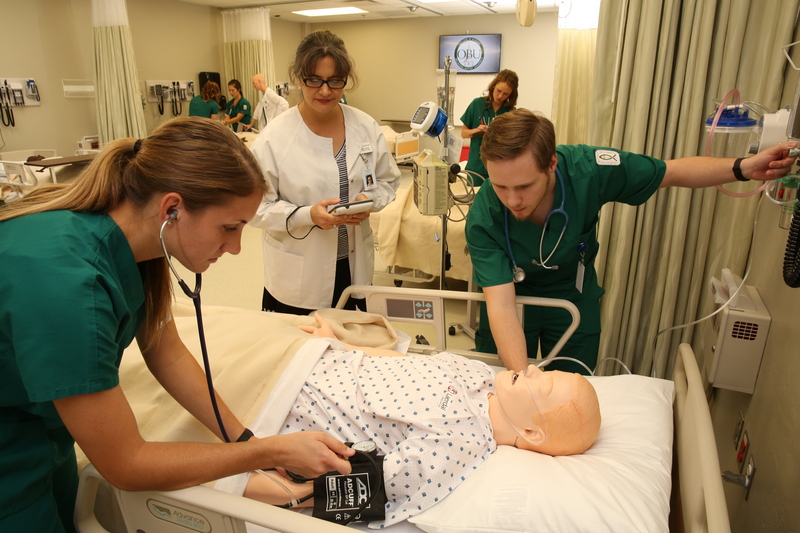 The University’s highly regarded nursing program, which was founded in 1940, had been housed on campus in its previous location since 1987. 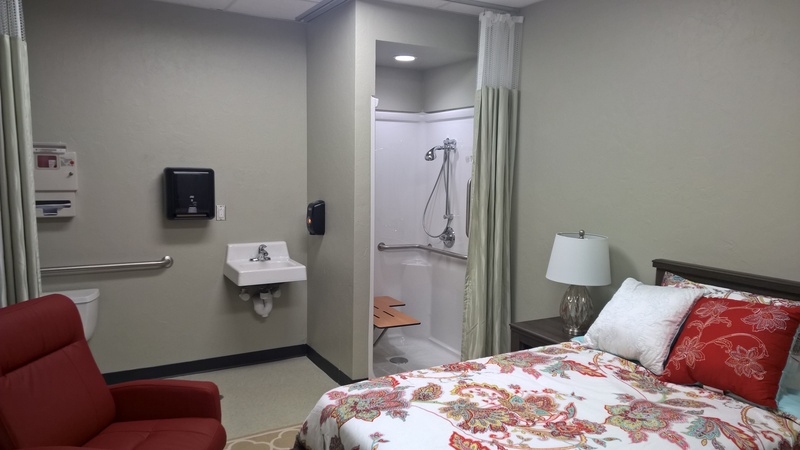 In order for OBU to remain good stewards and continue to grow the College of Nursing, a new state of the art facility was at the top of the list of the university’s academic needs. Jane E. & Nick K. Stavros Hall is a 32,000 square foot facility with 24 patient beds, three classrooms, a computer lab, a 109 seat lecture hall, multiple offices and areas for students to collaborate and study as well as a FEMA tornado shelter. 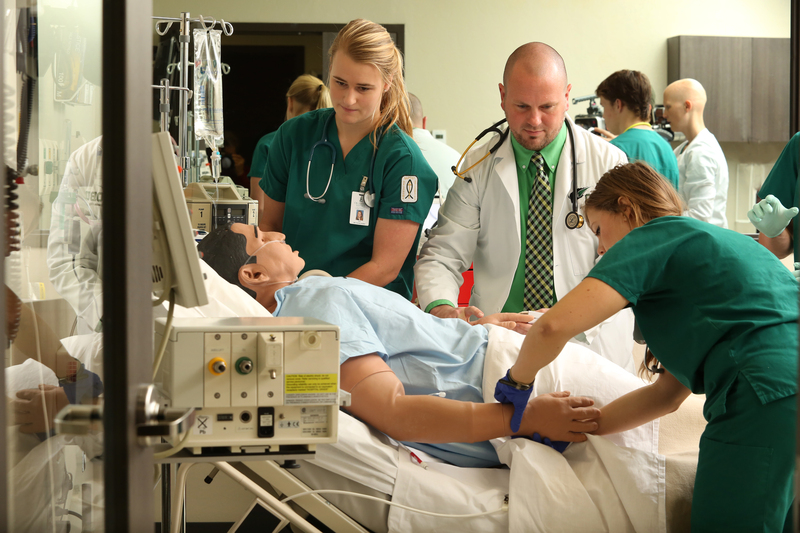 The simulations labs are state of the art, equipped with cutting edge technology allowing the students to gain greater insight into the medical profession. The low and medium fidelity labs each have 8 beds which are monitored by multiple camera angles allowing for thorough debriefing sessions. 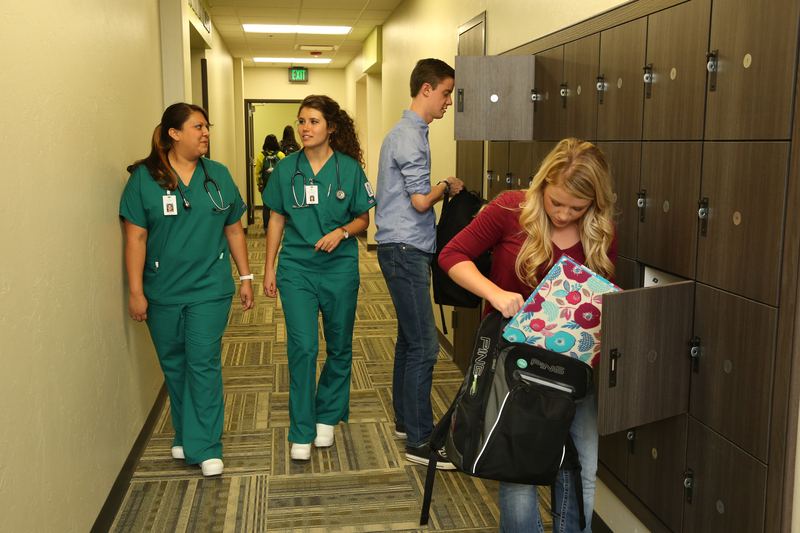 The 6 high fidelity labs function as fully enclosed hospital units providing students with real world scenarios. In 2010 OBU reached out to CJC to begin the task of identifying the needs of the university. 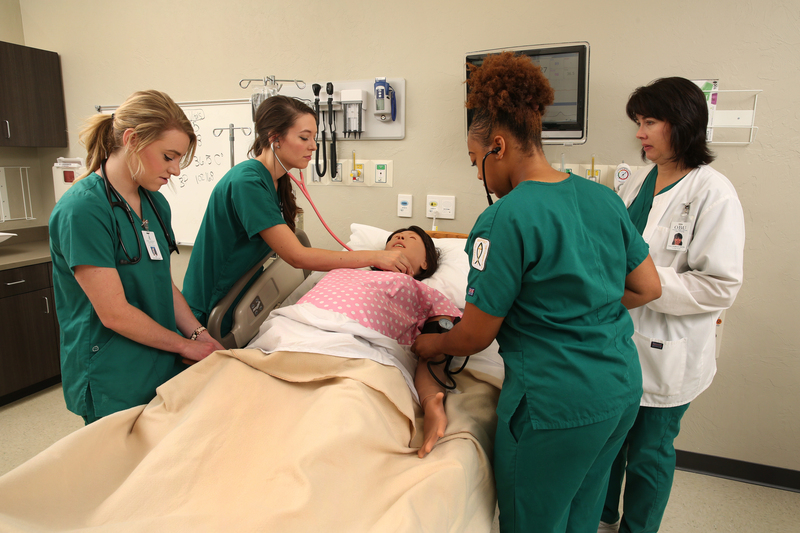 As a team, OBU and CJC began touring multiple educational nursing programs and engaged in an open dialog with the educators. CJC set about preparing fund raising documents, designing a building that met the functional needs and paid homage to the campus’s Georgian Architecture. In addition to renderings, plans and cost estimates, CJC provided a 3D computer model which was used to show potential donors, staff and prospective students the future facility. 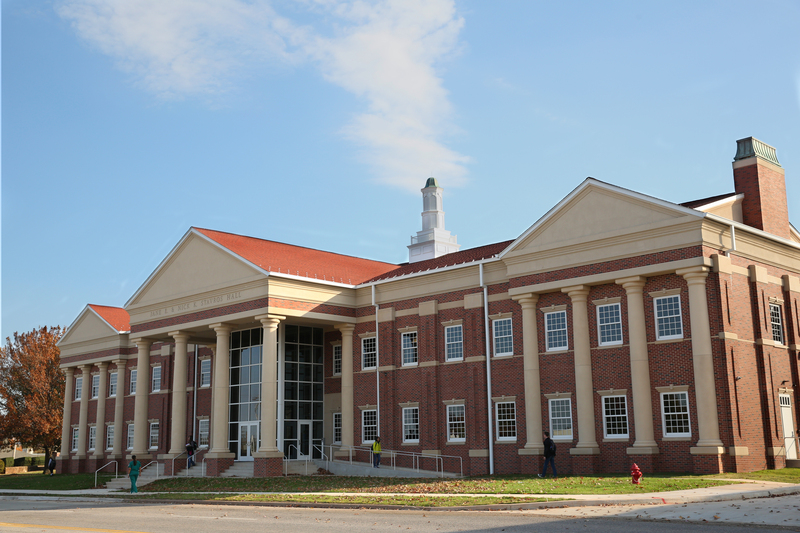 Once the university had secured their funding, CJC began preparing the construction documents. During the CD phase the Dean of Nursing retired, and the new Dean had an alternate vision for the college’s future. 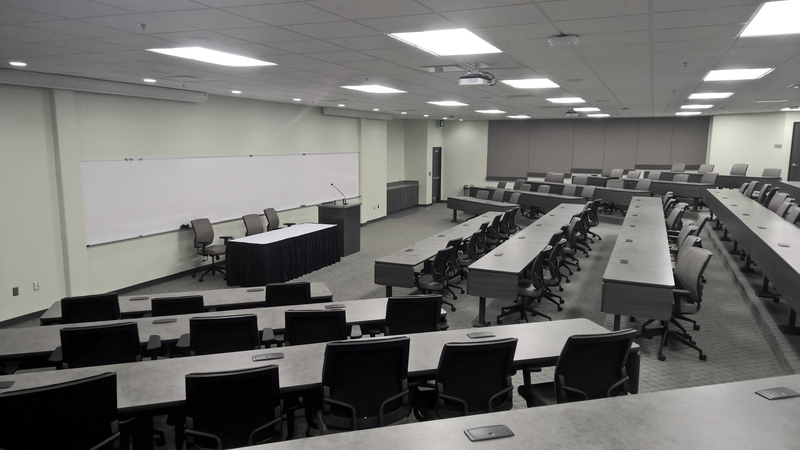 CJC was able to reconfigure the interior spaces to meet the changing needs while maintaining the aesthetics that the university and donors had been expecting. 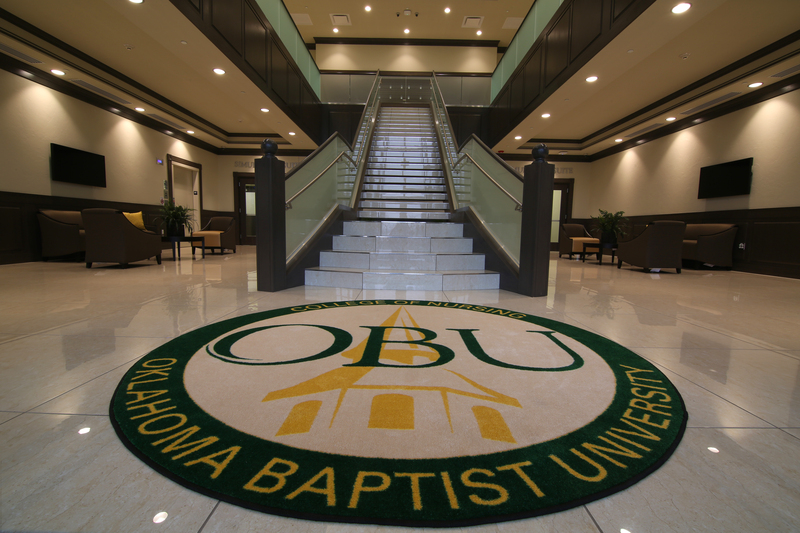 CJC Architects is proud to have been on OBU’s team and is excited to see how the new facility aids in the growth of the College. We consider CJC to stand out among other firms due to our team approach, artistic skill, unique fund raising materials, and technical skills. CJC believes our knowledge, experience and relationships working with our clients to develop a vision for the future is an asset that cannot be overlooked. CJC staff attend the Tulsa Readiness Center Ribbon Cutting Ceremony held March 4th. Click the links below for the full story. CJC’s President, Tim Boeckman, AIA, appears on KOTV discussing storm shelter design in schools.